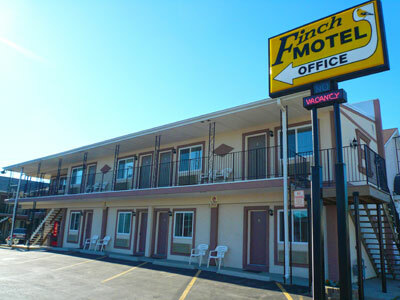 Finch Motel in Wisconsin Dells is right in the heart of downtown Dells and the famous River District, putting you within walking distance of shopping, restaurants, boating, entertainment and nightlife. The main rides, water parks, and renowned attractions that make Wisconsin Dells a world-class vacation destination are just a couple of miles away. Newly remodeled rooms at the Finch come with cable TV, some with refrigerators and microwaves and are nicely furnished. Convenience and proximity to everything the Dells has to offer make the Finch Motel a great choice for a fun and relaxing Wisconsin Dells getaway.